Welcome to BestBackup.site. Today we are going to try and show you how to backup SQL Database to Google Drive. 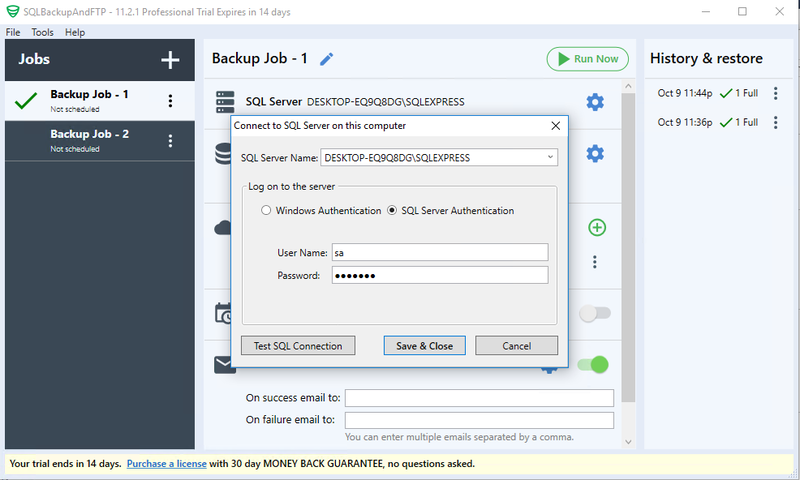 We are using SQLBackupAndFTP to complete this backup job. 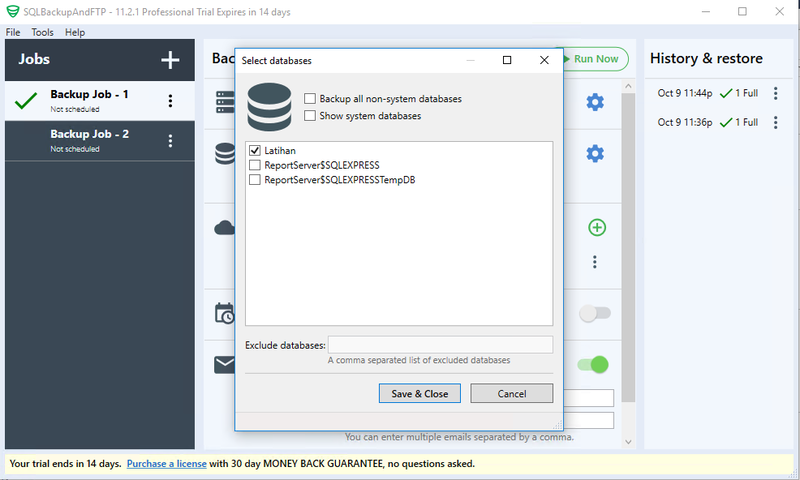 As you know, SQLBackupAndFTP is a nice SQL Backup Solution that can backup SQL Databases and store the backup on various online storage such as Google Drive, Amazon S3 etc. It is very easy to use. 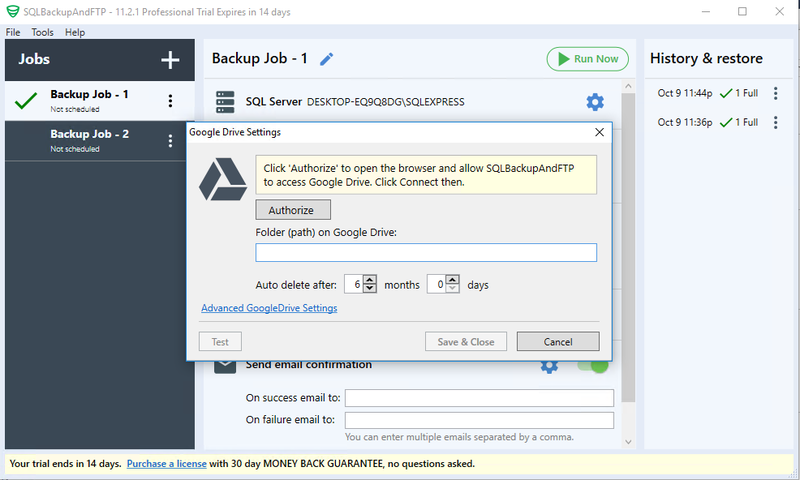 With this tool, SQL Backup to Google Drive can be done in no time. Thanks to great user interface design which is great for new users. Database backup is a critical task for most database administrator. By keeping the backup offsite such as in Google Drive or other cloud storage, it will increase the security and availability. Click Authorize button and you will need to log in to your Google Drive account. 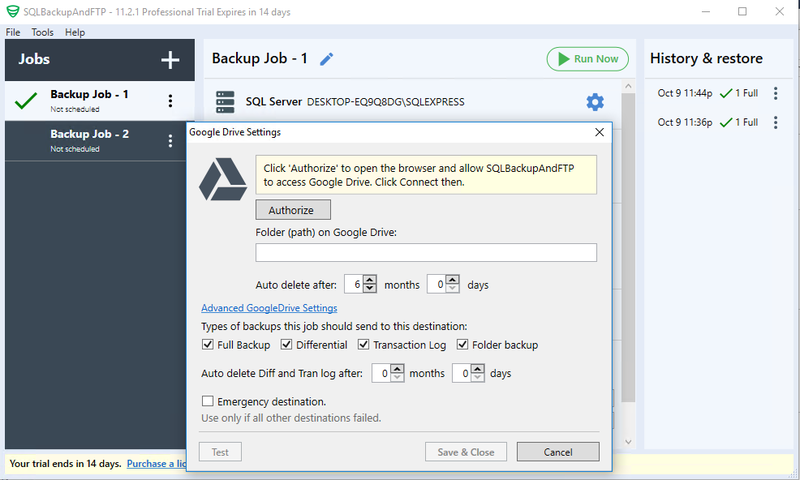 Copy the authorization code from your web browser back to SQLBackupAndFTP. Save and Close when done. Click Advanced Google Drive Settings to see more options such as full backup, Differential and folder backup. Thanks for reading this tutorial. See you on the next one. Stay tuned on this website.